Temporary traffic lights will be in place at Sycamore Lane in Bretton from February 20 to March 5 while a new BT cabinet is installed. A 30 metre stretch of Primrose Lane in Calder Grove will be closed until February 27 while resurfacing works are carried out. Temporary traffic lights will be in place from Durkar Lane to St James Way to High Street in Crigglestone from February 16 for four weeks while gas mains are replaced. 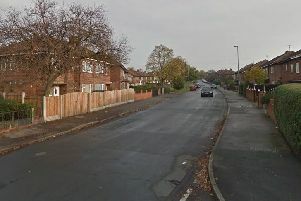 Micklethwaite Road in Hall Green will be closed until February 27 while gas mains are replaced. Temporary traffic lights will be in place on Lingwell Gate Lane under the M1 bridge in Lofthouse while maintenance of the motorway bridge is carried out. Temporary traffic lights will be in place from February 16 for one week on Canal Lane in Lofthouse Gate while gas mains are replaced. Temporary traffic lights will be in place on Blacker Lane in Netherton until February 17 while a trial hole is evcavated. Temporary traffic lights will be in place from New Road to Orchard Crest in Old Snydale until April 30 while gas mains are replaced. Temporary traffic lights will be along New Road from Whitestones to Mill Lane in Old Snydale until March 30 while new electrical cables are installed. Temporary traffic lights will be in place on Castlegate in Stanley on February 19 due to telecoms work. There will be off peak lane closures on Aberford Road and traffic lights on Newmarket Lane in Stanley as and when required in until April 24 due to the construction of a cold store. Temporary traffic lights will be in place on Newmarket Lane in Stanley from Energy Park to Bottom Boat Road from January 26 for five weeks while new electrical cable is installed. Temporary traffic lights will be in place on Lime Pit Lane in Stanley from February 16 for one week while gas mains are replaced. There will be off peak lane closures between Chald Lane and Brooksbank on Westgate End in Wakefield while works to the central reservation are carried out. The service road on Dewsbury Road from Neville Road to Townley Road in Wakefield will be closed until April 24 while gas mains are replaced. Lawefield Lane from Brighton Street to Gaskell Street in Wakefield will be closed until February 22 while gas mains are replaced. Temporary traffic lights will be in place on Lower Warrengate in Wakefield until March 2 while gas mains are replaced. Temporary traffic lights will be in place on Potovens Lane in Wrenthorpe while gas mains are replaced.